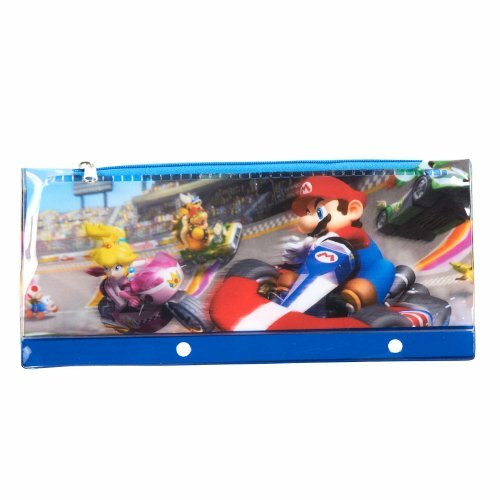 Mario Kart Wii Plastic Pencil Pouch. Pouch has a zipper to keep items inside. Measures 9" x 4". Three hole punched and fits in standard binders. Perfect for any Mario Kart fan!